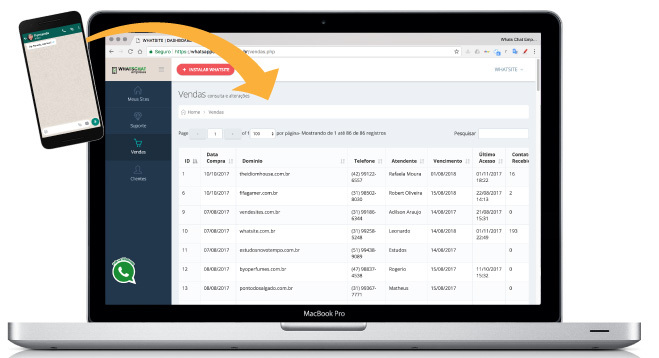 Your customers data are collected at the Chatbot, e.g: name, cellphone and email go to your control panel and personal email. PS. 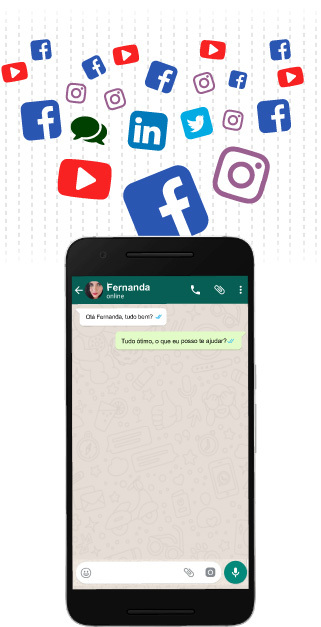 : The sent message goes with an automatic conection button to your customer WhatsApp. Test it! Just click in oi.whatz.me. Can I use it in a button? YES!!! 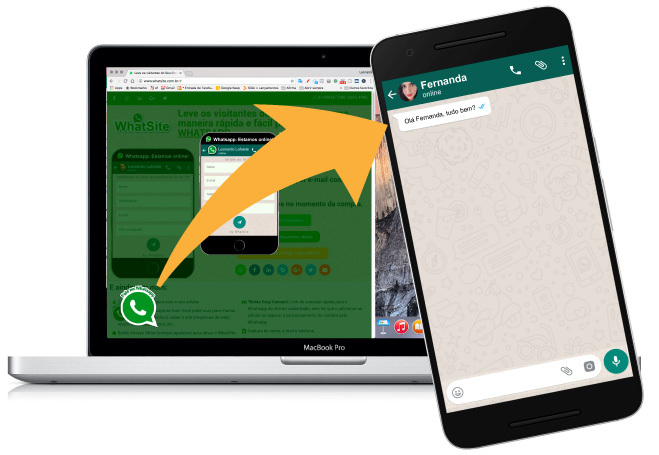 Whatsite will forward your customers from your website straight to your WhatsApp. 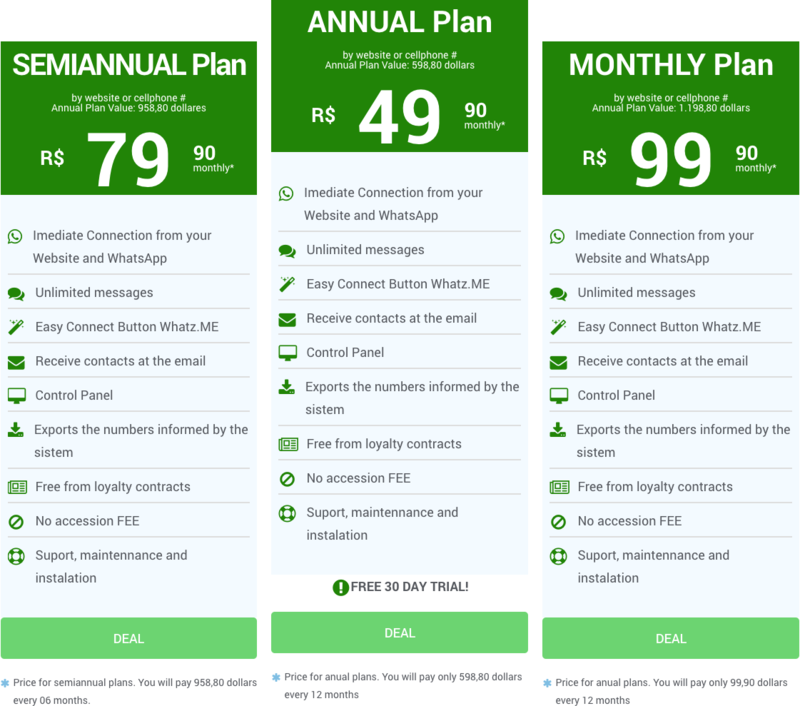 Price for semiannual plans. You will pay 958,80 dollars every 06 months.